Don't let the trolls win. Watch Gotti. Gotti had a rough year. Since its release in June 2018, the mafia biopic about John Gotti, starring John Travolta, secured a rare zero-percent critics' rating on Rotten Tomatoes, racked up six Razzie nominations, and inspired breathless takedowns from gleeful critics everywhere. The film's marketing squad hit back against those critics (just like Gotti would have wanted) with a social-media campaign meant to snuff out the elitists and celebrate the film's 49 percent audience-rating. "Audiences loved Gotti... critics put out the hit," the film's account tweeted. "Who would you trust more? Yourself or a troll behind a keyboard?" 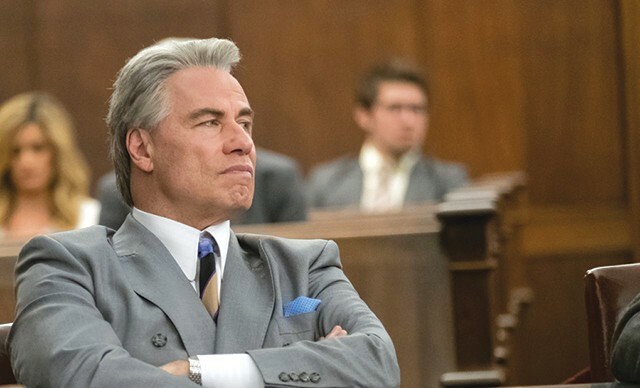 I have seen Gotti twice — probably the only person besides the editors who can make such a claim — and I can say that it lives up to the hype. While at times joyless and tedious, most of the misfires are simply a blast to watch. There are silly accents. The soundtrack has both Deep Purple and Pitbull. There are two fourth-wall breaking scenes in which Travolta stands next to a river and yells at the audience. It’s directed by Kevin Connolly, one of the entourage members in Entourage. The whole thing has a taped-together vibe, the result of too many cooks with too many different tastes in a poorly designed kitchen. They've delivered a dish that's somehow burnt and cold, bland and over-spiced. And while it's unfortunate that it tastes bad, it's hard not to respect and marvel at the sheer volume and diversity of the errors. It's almost worth it. Gotti is streaming on Amazon Prime.